You land at Beijing’s new airport, the flying dragon by Norman Foster. What next? What else does Beijing have to offer besides icons and olympics? An update from Beijing. 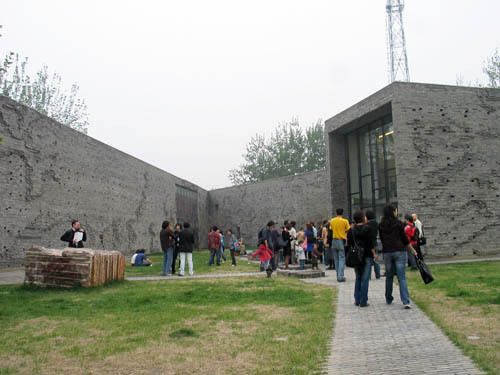 As noted last year, ChaoChangdi is the new place to see modern Chinese art and architecture. Once a village, the place has filled in recent years with art galleries and artists studios. The architecture is the work of Chinese architect-artist Ai Weiwei. Not to be missed are the Three Shadows Photography Center, CAAW, Red Brick Art Galleries and Courtyard 104 & 105. The venues for food are the nearby Hohai-lake in the No Name Restaurant, in Sanlitun in Jazz-ya, the Luce located close to the Drum & Bell Tower, and the Chinese Jindingxuan restaurant located almost next to the Lama Temple and open round the clock. Recommended places for drinking and dancing are the fantastic Stone Boat in Ritan Park, the alternative Yugong Yishan, the metropolitan Dubstep venue White Rabbit, the trendy Song (near The Place), the mainstream Club China Doll, the lounge-trendy Klubb Rouge and the unavoidable expat venue Suzy Wong. 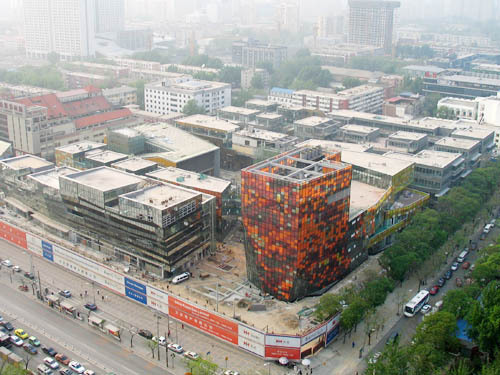 Soho China is Beijings biggest property development firm. For the past five years it has built architecture for the middle class according to a tried and tested formula involving foreign architects and prominent property locations. Completed works include SOHO Shangdu, close to CCTV in the Central Business District, by LAB Architecture Studio, and the nearby Chaowai SOHO by Iroje Architects and Planners. 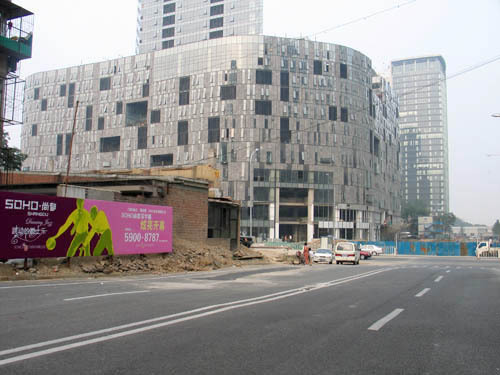 Projects under construction: Guanghualu SOHO by Søren Korsgaard and Qingyun Ma, and Sanlitun SOHO by Kengo Kuma. The latter of these will only be completed in 2009, but the showroom boasts a mock-up of an apartment that lets you experience briefly what its like to belong to the Chinese middle class. Opposite Sanlitun Soho lies Yashow Market, the favourite place for dubious Gucci, Prada and other fakes  itll probably be shut down during the Olympic Games. Next to it is the Village at Sanlitun, a 120,000-square-metre shopping complex based on a master plan by the Oval Partnership (Hong Kong) and featuring buildings by architects such as LOT-EK, ShoP Architects, Keiichiro Sako and Yohij Sasaki. The use of LEDs to clad Beijing façades resulted in two striking projects over the past year. The first is The Place, a 250-x-30-metre roof spanning between two shopping centres in the Central Business District, and the second is the GreenPix – Zero Energy Media Wall, designed by Simone Giostra & Partners Architects, a façade that conceals the Xicui Entertainment Complex, in the west of the city. Qianmen lies to the south of the Forbidden City and the Square of Heavenly Peace. This ‘traditional’ district has of late been the subject of protest from various heritage groups and artists, an issue that Prince Charles also got involved in recently. Qianmen has been renovated over the past two years, and in Beijing that means demolishing everything and building it all again in more or less the same way, except of course more traditionally than before. 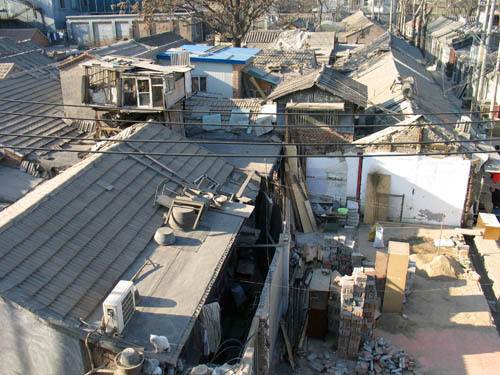 Nanluoguoxiang, Beijing’s coffee-and-Wifi hutong, has also been spruced up over the past year. Passby Bar, Sandglass and Xiao Xin are still the best venues, but theyre facing competition from Cafe Zarah on GulouDongDajie, the nearby hip metropolitan street that leads to the Drum & Bell Tower. 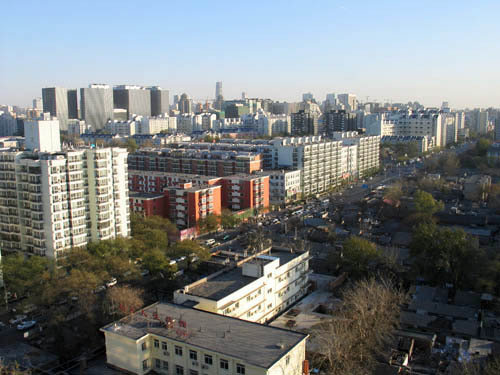 Steer clear of the zealous dealers in hutong and rickshaw tours on the square in front of the Drum & Bell Tower, but be sure to lounge on one of the many roof terraces offering a view of the square. Lets be honest, even in a rapidly transforming city, theres often little change. So be sure to check ‘Groeten uit…’ article posted last year. What have been completed during the past year are the cubist zero by Rem Koolhaas/OMA and the Linked Hybrid by Steven Holl, but neither of these is open to the public yet. 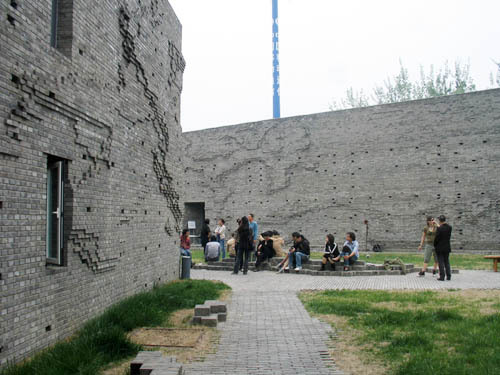 The focus of this instalment of ‘Greetings from Beijing’ is therefore on some renovated hutongs, new architecture in the form of so-called sohos (small office, home office) and art districts.